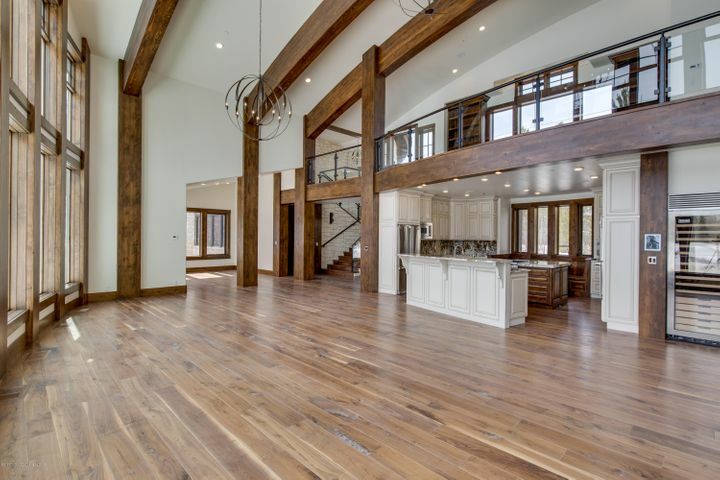 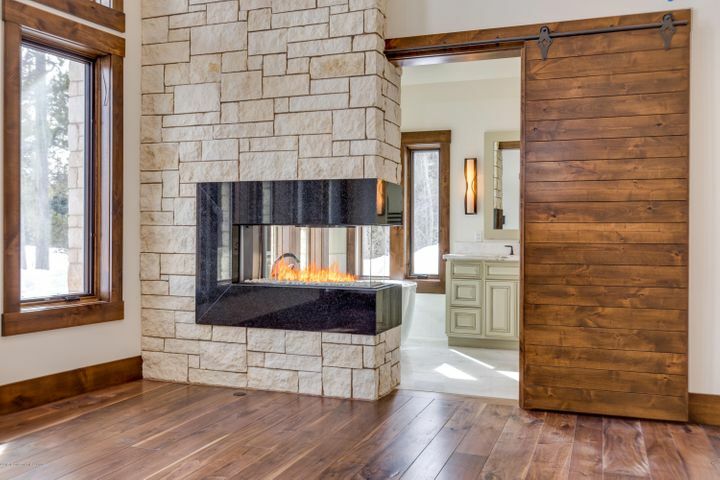 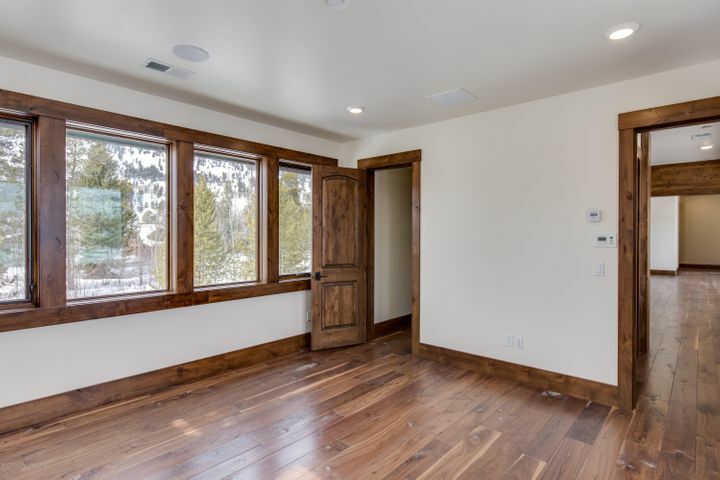 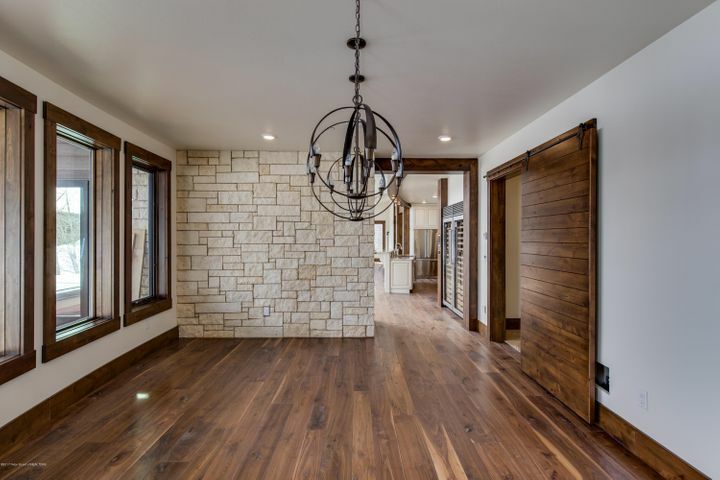 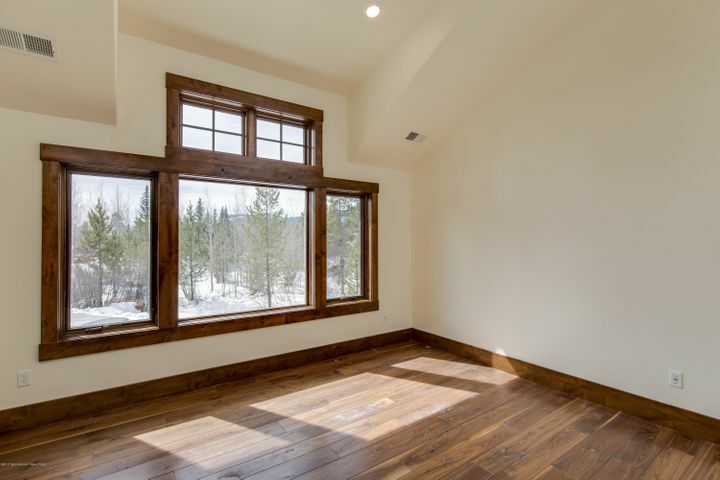 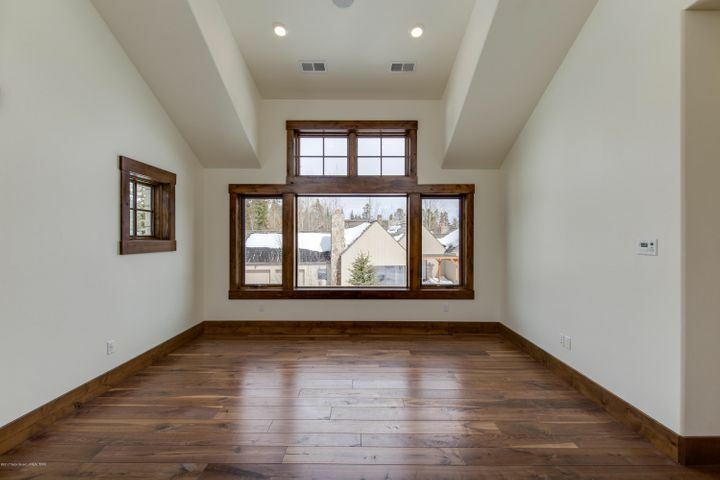 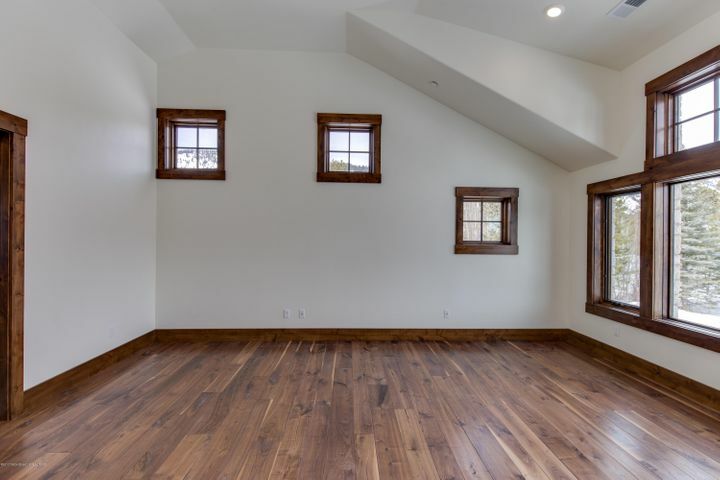 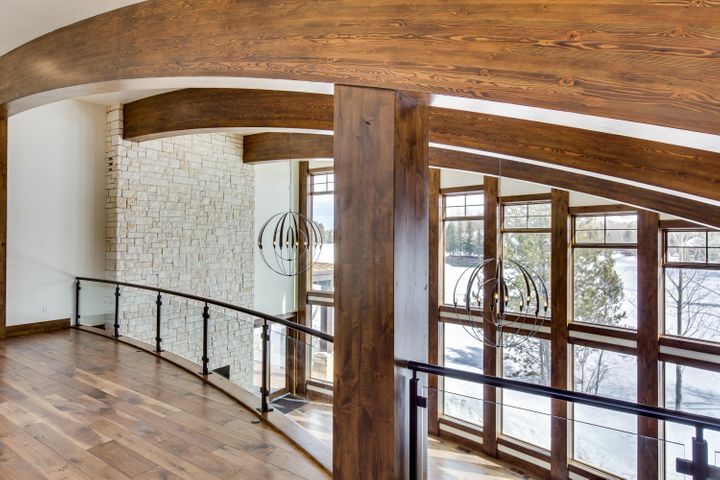 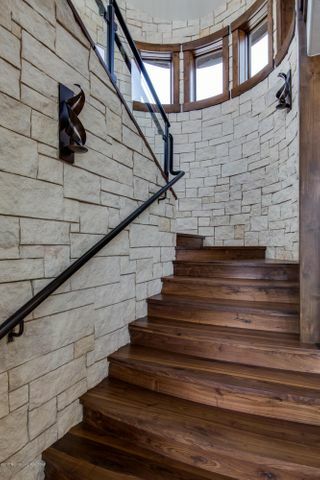 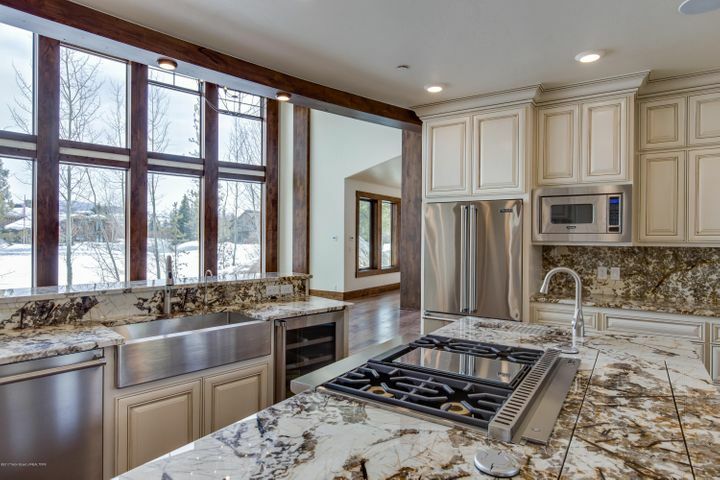 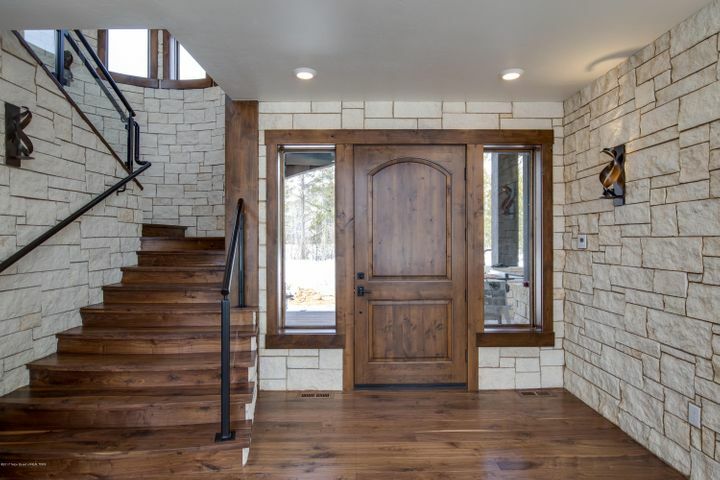 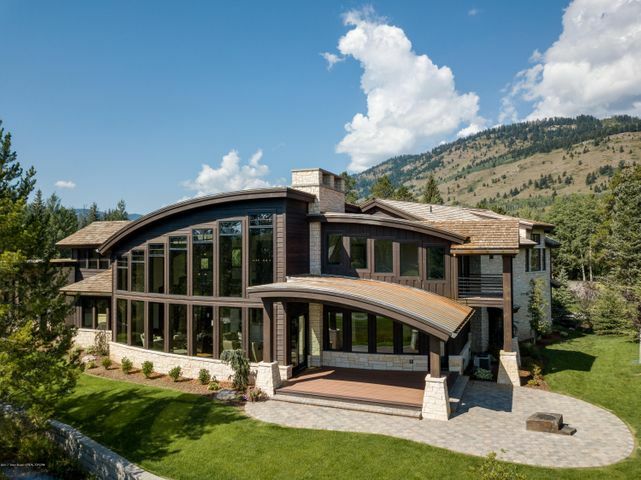 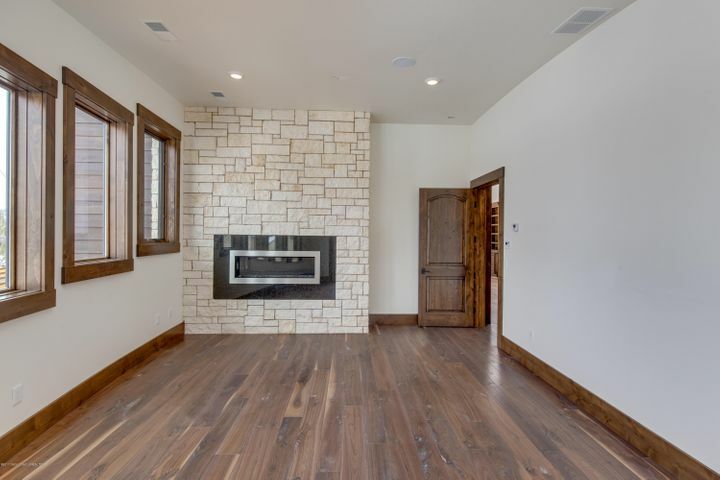 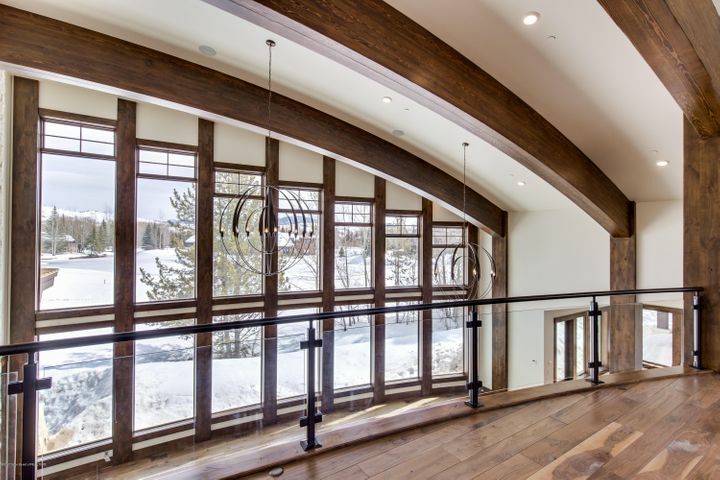 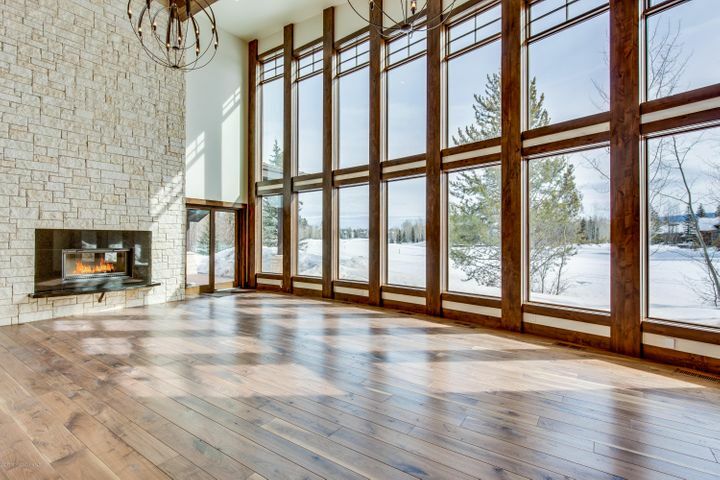 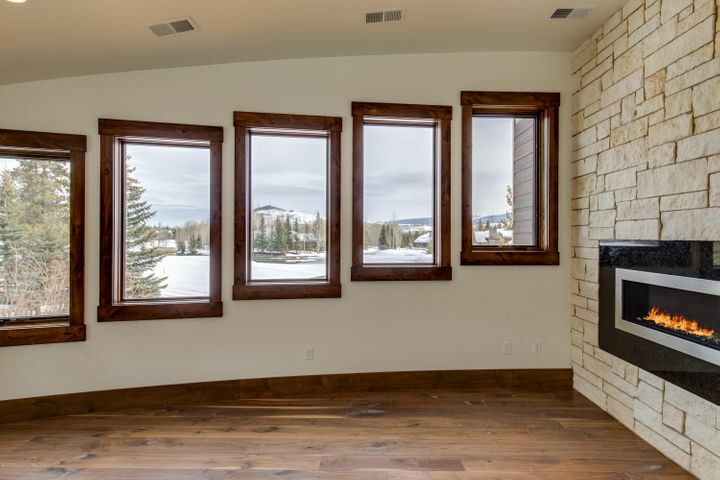 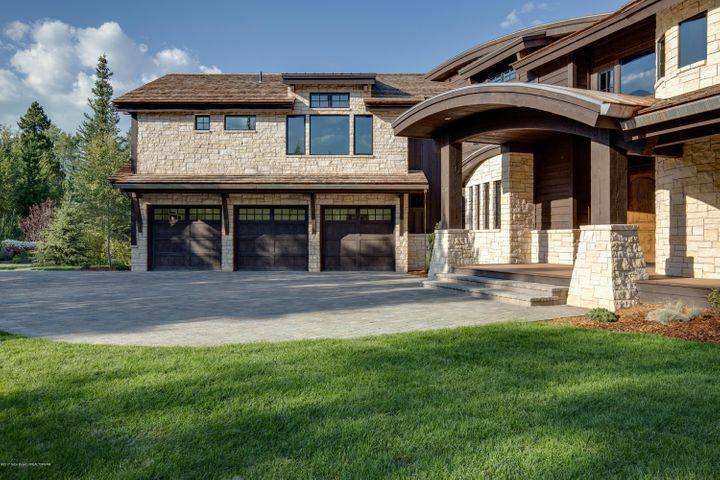 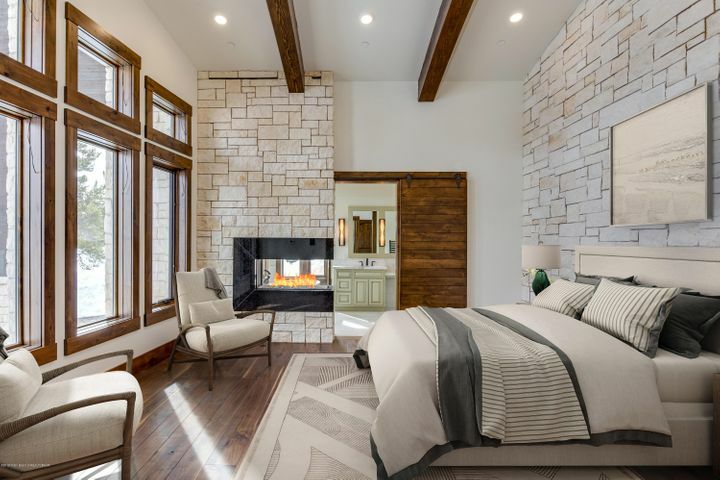 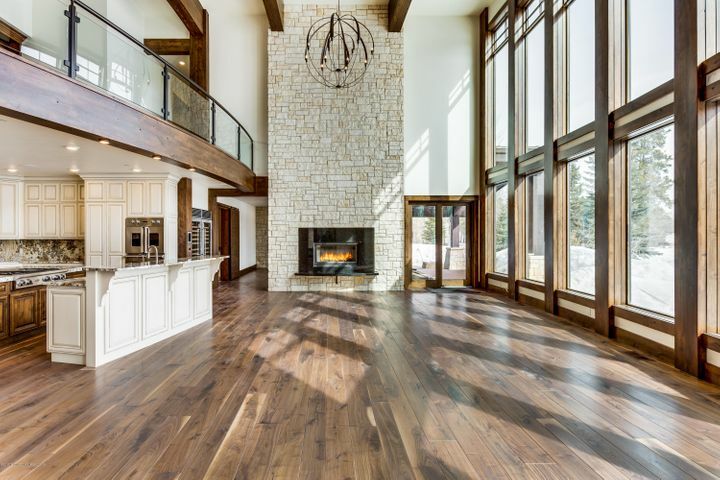 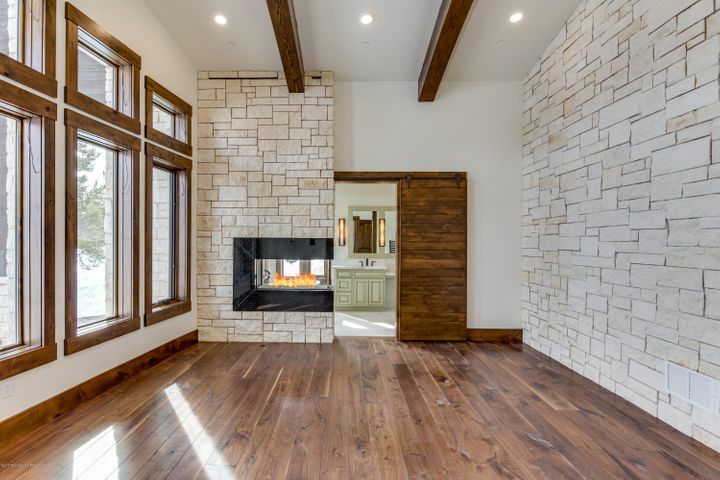 Recently built to the highest standards, this innovative mountain modern residence is flooded with natural light thanks to soaring ceilings and huge windows throughout. 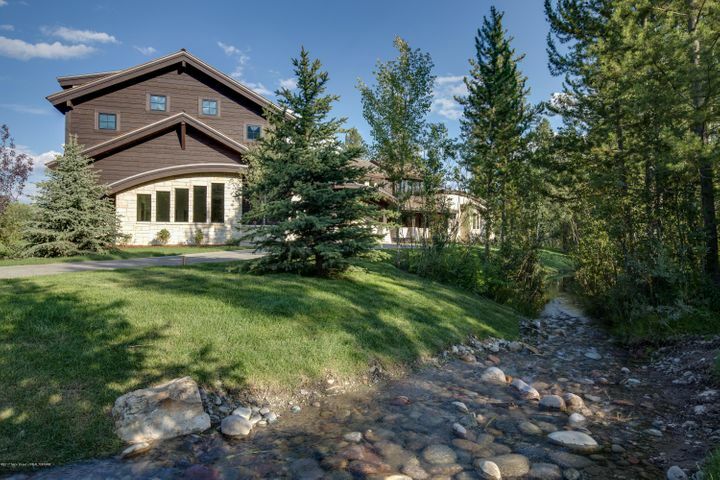 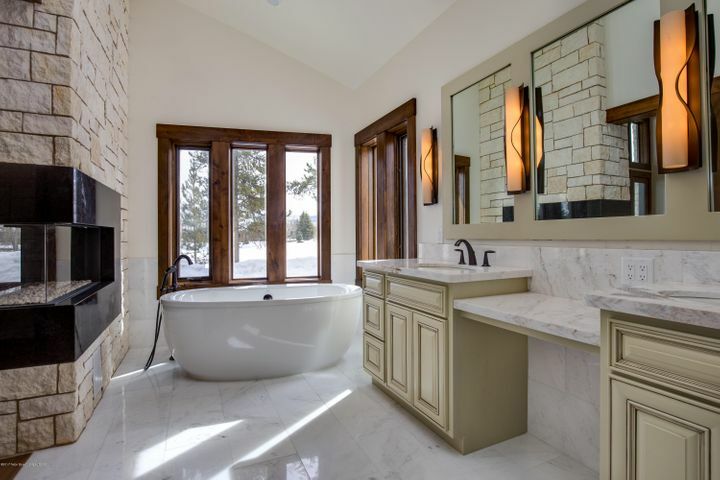 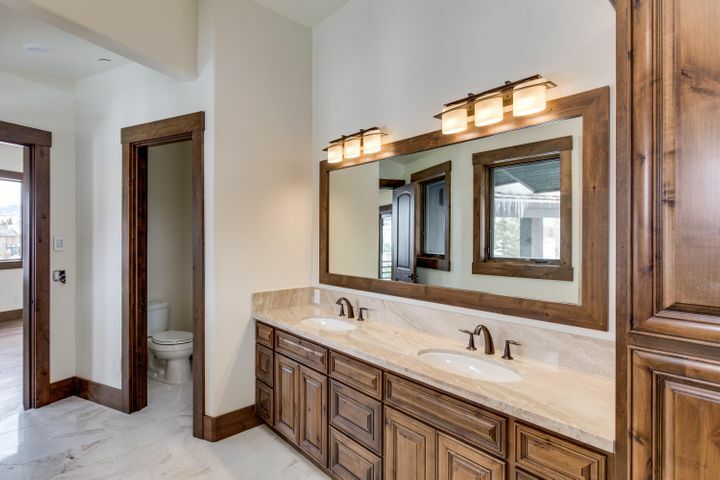 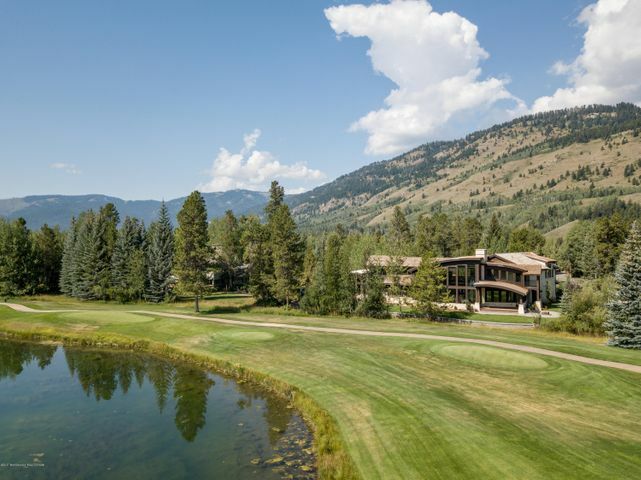 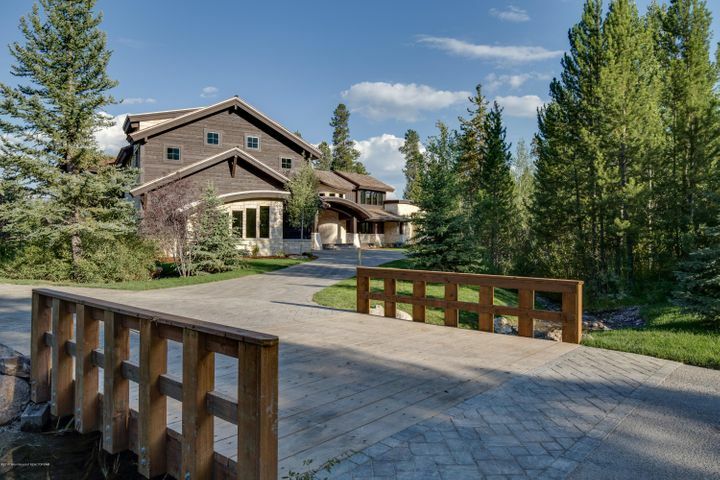 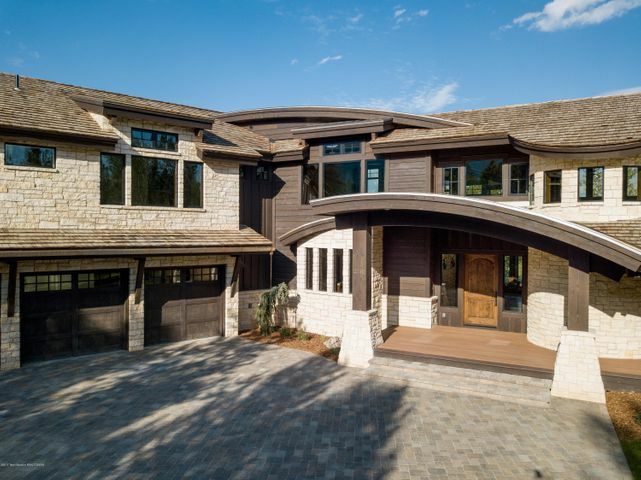 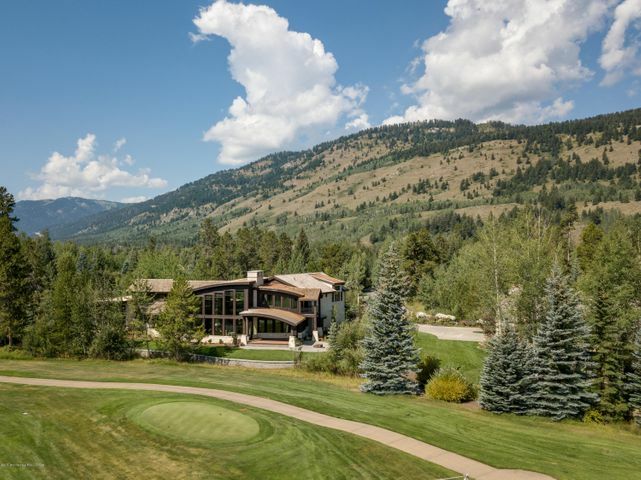 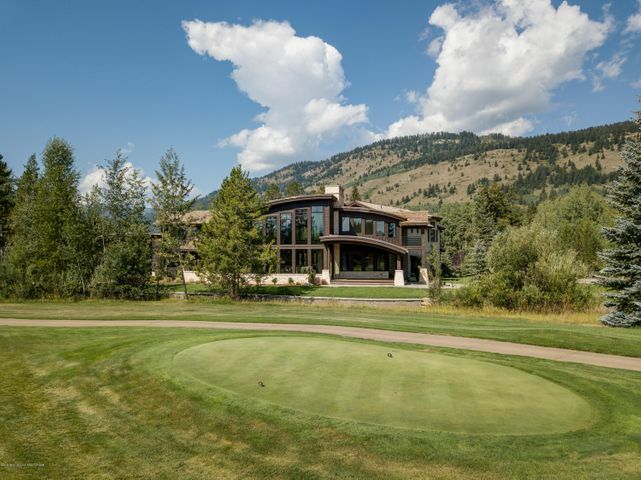 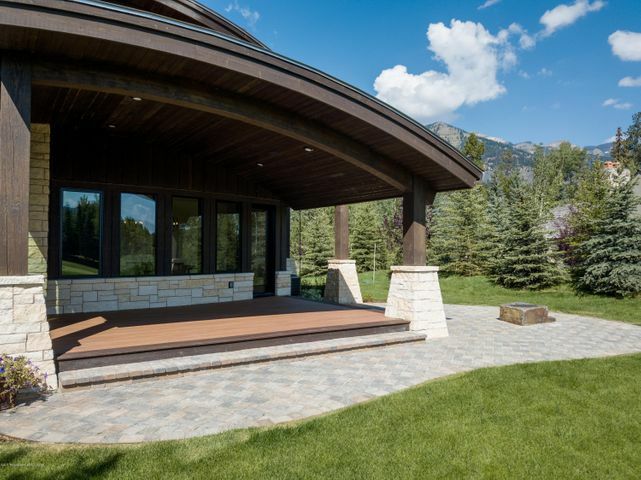 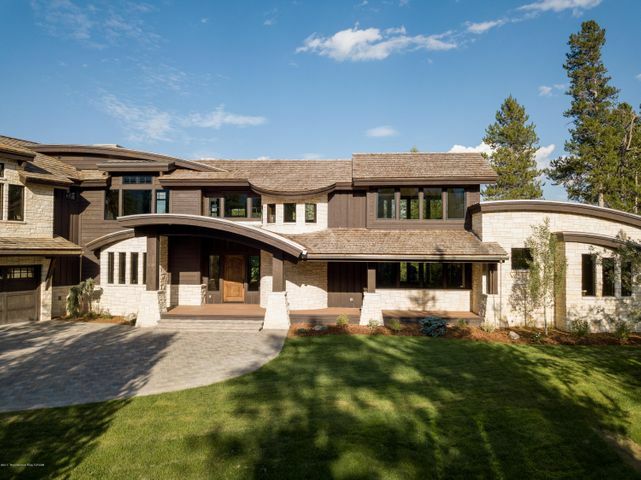 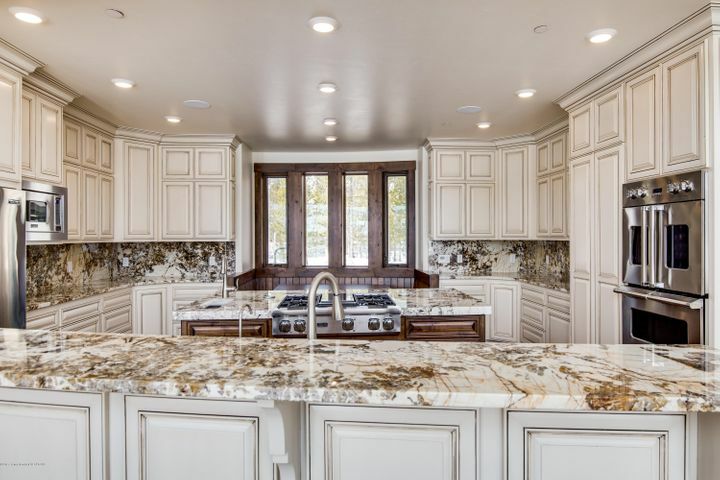 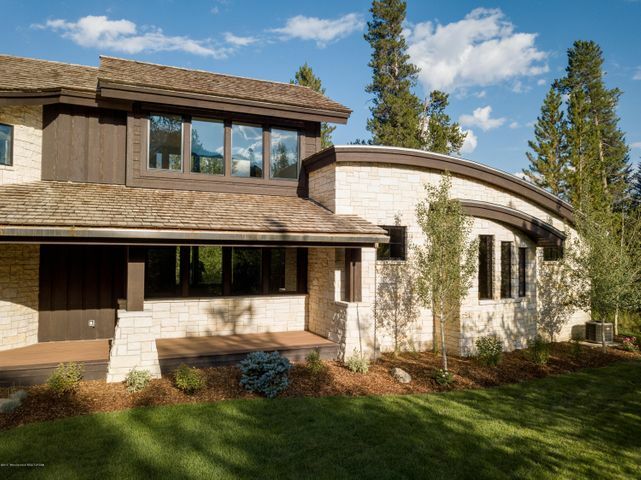 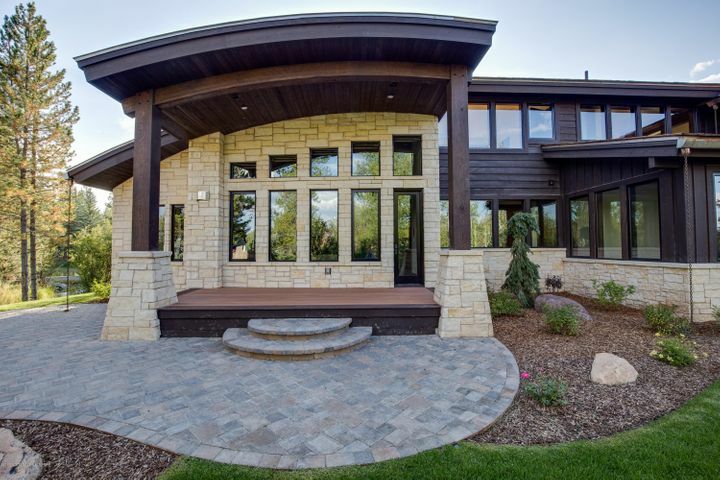 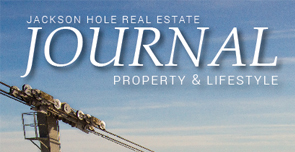 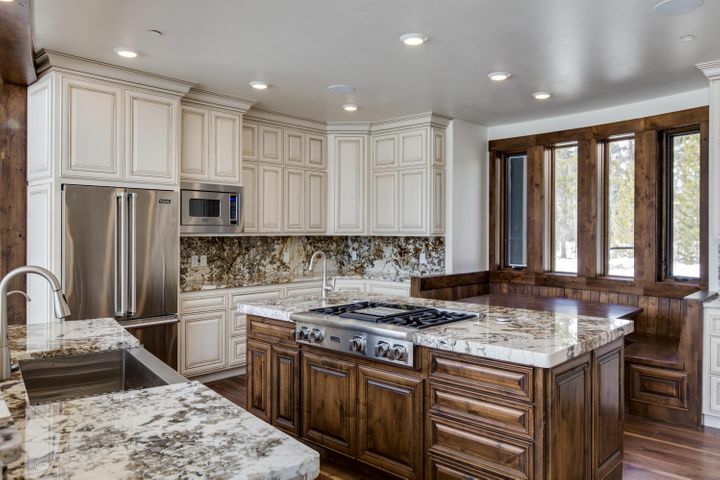 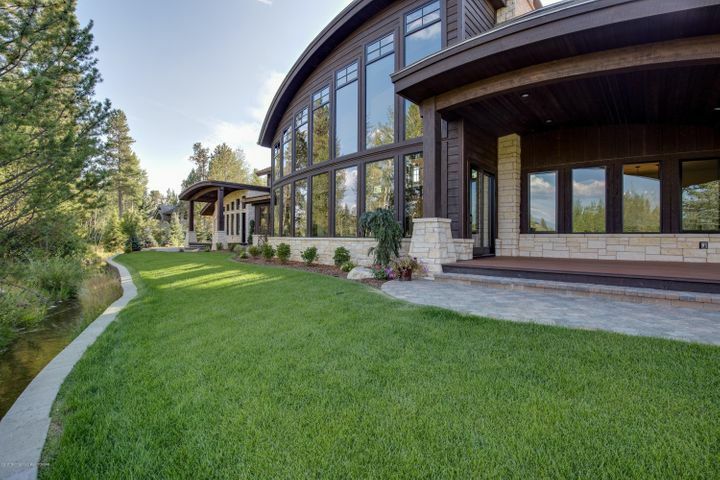 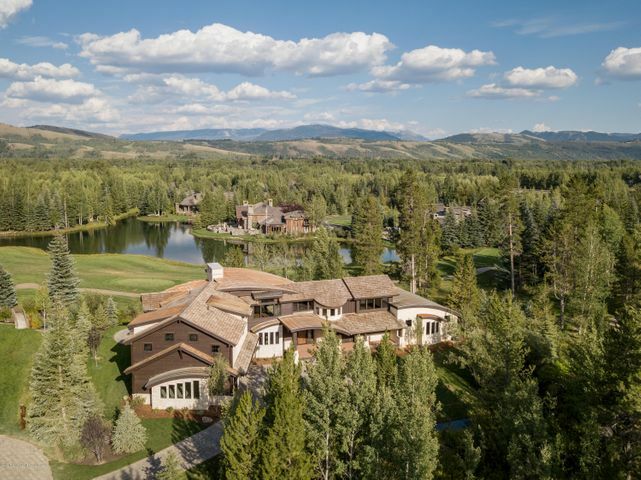 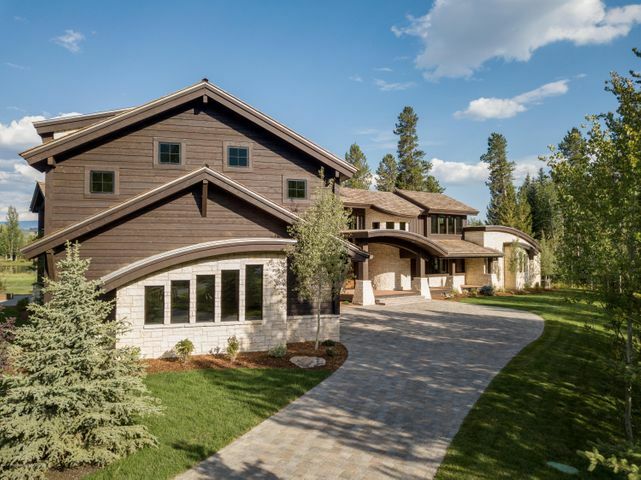 Located on the 18th tee-box of an Arnold Palmer-designed golf course within the gated community of Teton Pines, the home offers breathtaking views, as well as serene water features, and lush foliage. 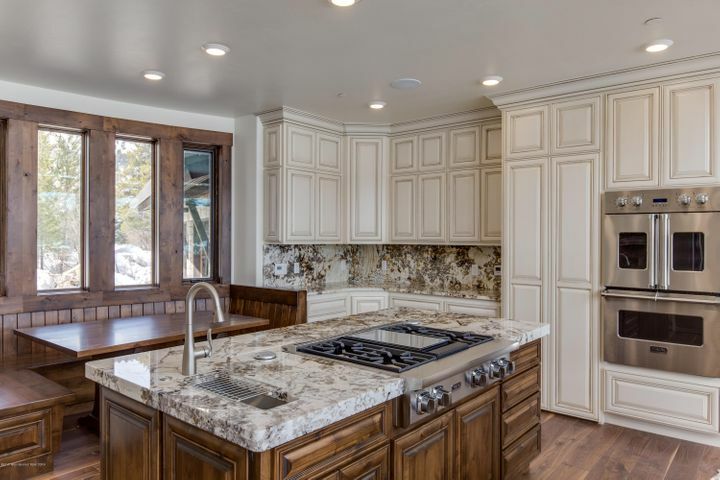 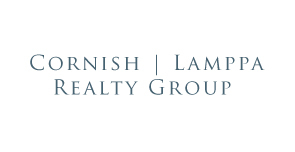 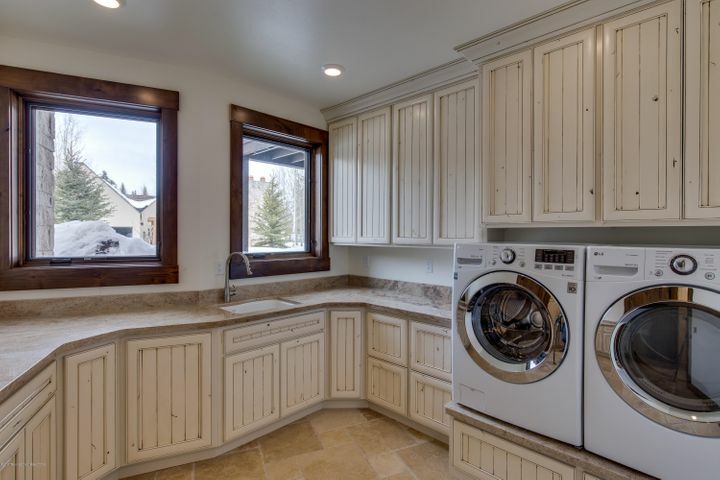 Stepping inside, every detail resonates with luxury, with elegant American Walnut floors, electronic window shades, dual wine coolers, Viking appliances, and a complete home automation system. 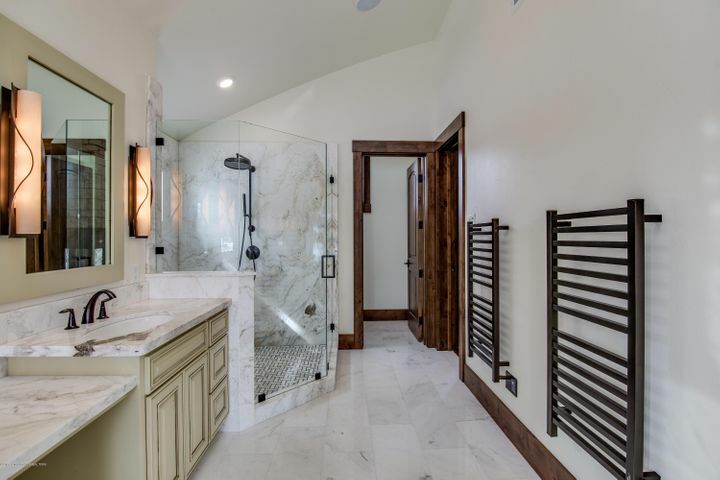 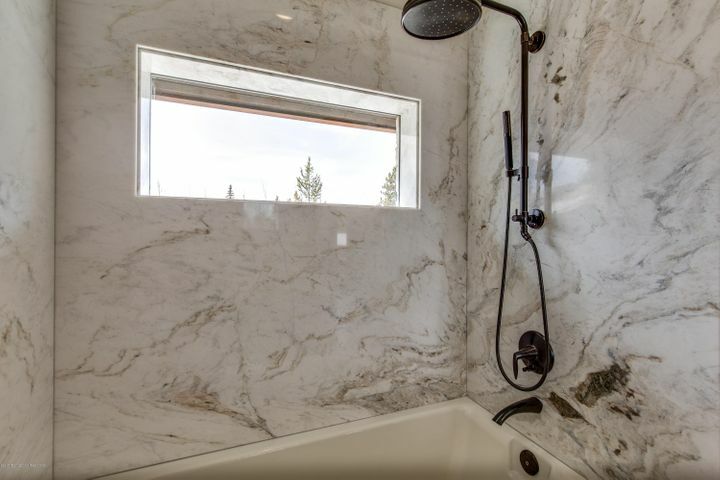 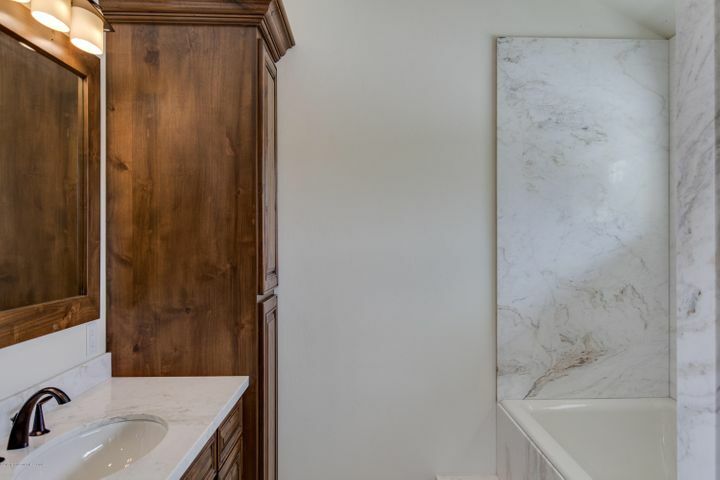 An elevator connects the primary level with three spacious guest bedrooms, each benefiting from large closets and en-suite baths with fabulous marble slab surrounds in each of the showers.